Sustainability is an integral part of the Buzil family tradition. Family-owned for over a century, Buzil is currently run by one member of the fourth generation, Isabell Janoth, and Klaus Karl. The company‘s endeavour to reconcile ecological and economic objectives to the best of our abilities is deeply rooted in this long history. Our environmentally friendly Planta® product range is a direct outcome of this ethos. However, Buzil‘s commitment to sustainability goes far beyond product development as such. As early as 2002, we received DIN ISO 14001 certification for our environmental management system. 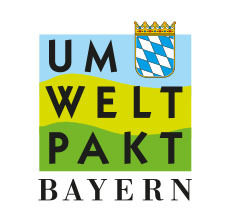 As a member of the Bavarian Environmental Alliance (Umweltpakt Bayern) since 1995, Buzil has made additional voluntary environmental commitments. Since 2011, Buzil has also been a DIAMOND member of the UAE Business Council for Sustainable Development (BCSD). Respecting and protecting the environment is anchored in our company values and is an integral part of the guidelines that govern our daily actions. At Buzil, the duty to protect our environment involves the participation of all employees and is an important element of our training. As part of this training, we raise awareness of the importance of independent environmentally conscious behaviour at each workplace within the scope of employees' respective activities. We significantly reduce the consumption of resources by using concentrates in combination with dosing systems. Our containers, portioning and dosing aids, and mechanical and electronic pumps and dosing systems are aligned to customer needs and widely harmonised, making economical and ecological dosing possible. Fewer packaging materials and the resulting smaller transport volumes, as well as highly automated and efficient production processes, guarantee controlled consumption, support water and energy savings, and make a positive contribution to our carbon footprint. We see legal requirements as minimum requirements – and we beat these targets wherever possible. Acting responsibly to ensure user safety is a key element of our sustainability strategy, and the environmental information we provide is a crucial means of communication in this regard. This is used to calculate the precise waste water load for each product, based on the most meaningful indicators from waste water analysis. As a result, we offer our users a unique level of transparency. A high level of environmental compatibility is very important to us when selecting raw materials. Our effective development strategy means that we are constantly examining the raw materials we use with the aim of switching to more environmentally friendly alternatives, such as the use of renewable resources. Efficient training in both the product and its application, combined with proficient advice and support, ensure a sustainable, cost-efficient and high-quality result in day-to-day cleaning. We constantly keep an eye on the larger picture to create pioneering cleaning solutions. Or to put it differently: perfect cleanliness that lasts. The environmental management system defines requirements in terms of the planning, implementation and monitoring of the company's actions to reduce and prevent pollution and to ensure that we meet our environmental targets in the long term. The EU Ecolabel is a European environmental symbol used to identify products and services that have a lesser impact on the environment than comparable alternatives. The products and services awarded the label are tested for compliance with strict ecological criteria and fitness for purpose. 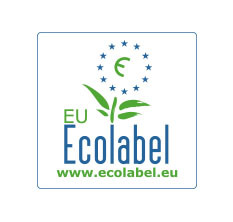 The Ecolabel serves as a transnational environmental quality seal that is used as a uniform means of identifying environmentally friendly products and services within the common European market. For all products in Buzil's Planta® Edition range and an Indumaster® product. The Austrian Ecolabel stands for higher quality of life and greater environmental quality, clear and transparent information, high informative value, environmental policies undertaken as the company or organisation's own responsibility and high-level collaboration with optimum service. The Austrian Ecolabel logo symbolises the elements of ecology: earth, water, nature and air. The Bavarian Environmental Pact is the model for success with regard to collaborative environmental protection. It acknowledges Bavarian companies' voluntary commitments to pursue corporate environmental protection measures and strive for sustainable management. The UAE-BCSD (United Arab Emirates Business Council for Sustainable Development) is the Arabic branch of the international WBCSD organisation. The World Business Council for Sustainable Development is a CEO-led organisation that focuses exclusively on the subject of the environment and sustainable development.